Designed just like a warning sign, this lets everyone know there’s a ‘Senior Moment in Progress’. 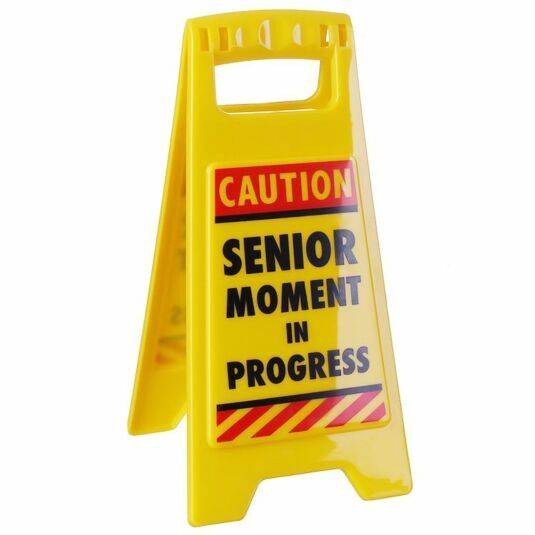 This novelty sign has a bright yellow background and reads ‘Caution Senior Moment in Progress’ on both sides. Simply place the sign in the vicinity of the pong to give everyone plenty of warning! Fun idea for a Christmas stocking filler or a birthday gift.